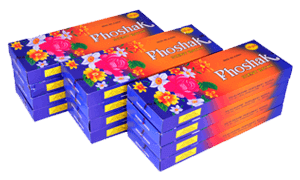 PHOSHAK 1 KG PACK FOR HOME AND BULK USE. Choose from a wide range of incense sticks and agarbattis to create an everlasting fragrance in your home. The Poshak agarbattis are handmade aroma sticks with a natural fragrance. 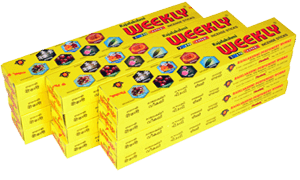 Rajalakshmi Weekly is a variety of fruity incense sticks. 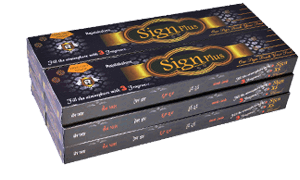 Rajalakshmi Sign Series is a box of fancy chypre (sandalwood) incense sticks. Our zipper pouch series are Ravi Darshini agarbattis that have a fruity fragrance. 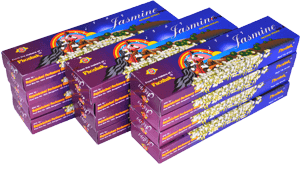 Jasmine incense sticks are ideal for home and kitchen use. 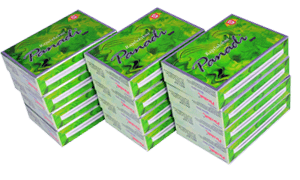 The Panadi Dhoop incense sticks have a light and soothing fragrance. Rajalakshmi XS fruity incense sticks contain 14 sticks per 20 gram box. Since its founding by B. Lakshmi Narayan Shetty in the princely state of Mysore. India in 1935, Rajalakshmi Perfumery Works has pioneered the manufacture of high quality incense sticks, spreading its glorious aroma around the world. Now managed by the family's third generation from bangalore. India, the company is recognized and respected world over as a leader with a host of brands in its portfolio. 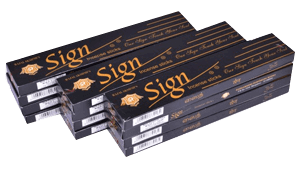 Rajalakshmi Sign series incense sticks contain 14 sticks per 20 gram box. 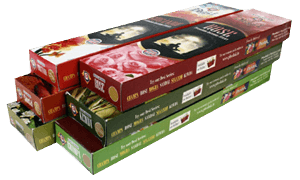 We have a wide range of in-house incense stick brands that are curated using the finest raw materials and fragrances. I have been enjoying the incense sticks from Rajalakshmi for over 10 years now. I would like to appreciate the consistency in their product and the versatile flowery and fruity fragrances they offer. It keeps my room smelling aromatic and fragrant for hours. 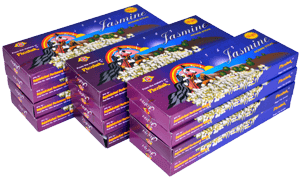 I am a fan of jasmine incense sticks. 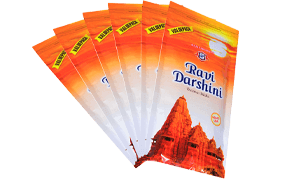 After having tried many incense stick brands, I came across Rajalakshmi Incense Sticks. No brand in the market can match their premium quality and long-lasting fragrance. Thumbs up to the entire team! A pioneer in the manufacturing of high quality incense sticks, Rajalakshmi Perfumery Works has been spreading the magic of incense since 1935 from the princely state of Mysore, India. It was established by B Lakshmi Narayan Shetty, and is now managed by family’s third generation from Bangalore.